The Vedas are considered the earliest literary record of Indo-Aryan civilization, and the most sacred books of India. “Veda” means wisdom, knowledge or vision, and it manifests the language of the gods in human speech. The Rig-Veda, the Sama Veda, the Yajur Veda and the Atharva Veda, the Rig Veda being the main. The four Vedas are collectively known as “Chathurveda, ” of which the first three Vedas viz., Rig Veda, Sama Veda and Yajur Veda agree in form, language and content. 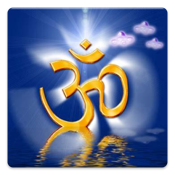 This app covers Preachings, Mantras, Shakhas, vedic chants, Essence, Quiz, Gayantri mantra, Mandalas, Maha Mrityunjaya mantra, Shanti Mantra, OM of all four vedas. Origin of Vedas and music.